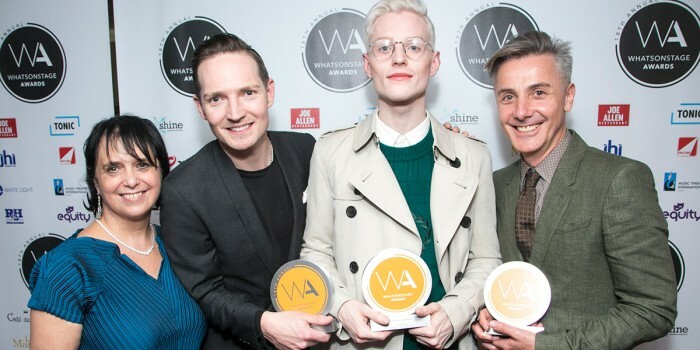 Tap-dance musical 42nd Street led the way at this year’s WhatsOnStage Awards, collecting four accolades, while fellow London musical Everybody’s Talking About Jamie also scored three wins. Kicking off a season of high-profile theatre awards, which culminates with the Olivier Awards with Mastercard ceremony on Sunday 8 April, 42nd Street claimed the WhatsOnStage Awards for Best Musical Revival, Best Choreography, Best Set Design and Best Costume Design. Meanwhile, Everybody’s Talking About Jamie won Best New Musical, Best Actor in a Musical for John McCrea (who plays Jamie), and Best Supporting Actress in a Musical for Lucie Shorthouse (who plays best friend Pritti). 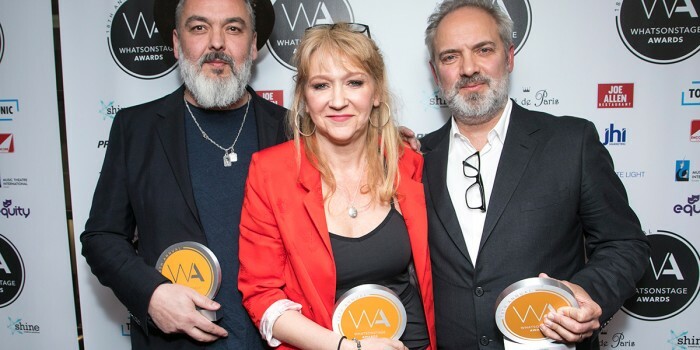 Also collecting multiple awards at last night’s ceremony was Jez Butterworth’s epic play The Ferryman, which won big with three accolades: Best New Play, Best Direction (for Sam Mendes), and Best Supporting Actor in a Play for Fra Fee. The show recently announced that it will end its run at the Gielgud Theatre on 19 May, ahead of a Broadway transfer. The Almeida Theatre‘s production of Hamlet, which starred Andrew Scott, also claimed two: Best Play Revival, and Best Supporting Actress in a Play for Juliet Stevenson’s portrayal of Gertrude. Elsewhere, in the acting categories, Broadchurch co-stars Olivia Colman and David Tennant (his third WhatsOnStage Award) were named Best Actress in a Play and Best Actor in a Play for their respective roles in Mosquitoes at the National Theatre, and Don Juan In Soho at Wyndham’s Theatre. Carrie Hope Fletcher claimed Best Actress in a Musical for her role in the touring The Addams Family, while comedian Ross Noble won Best Supporting Actor in a Musical for his role of Igor in the Mel Brooks musical, Young Frankenstein, now playing in London’s Garrick Theatre. Influential producer Sonia Friedman won the Equity Award for Services to Theatre, with SFP Productions taking eight wins across the evening in another successful year for the company. As well as awards for The Ferryman, Don Juan In Soho and Hamlet, they were also represented by the West End phenomenon Harry Potter And The Cursed Child, which won Best Show Poster and Best West End Show. The ceremony was hosted at the Prince of Wales Theatre by Disney’s Aladdin’s Trevor Dion Nicholas, and comedian and actress Vikki Stone. The WhatsOnStage Awards are voted for by the general public. Many people’s hot tip, Hamilton, became ineligible for this year when its opening night date was revised. The next milestone for theatrical fans will be the Olivier Awards with Mastercard nominations announcement, which will take place on Tuesday 6 March at 12pm, live on Facebook.